With the days lengthening and the promise of summer in the air, you might have a hankering to spend more time outside. These fresh picks are a quick and easy way to up your outdoor-living game and get your spring into full swing. Part lantern, part party; Pablo’s popular and portable Uma Lantern is a must-tote to any spring soiree. 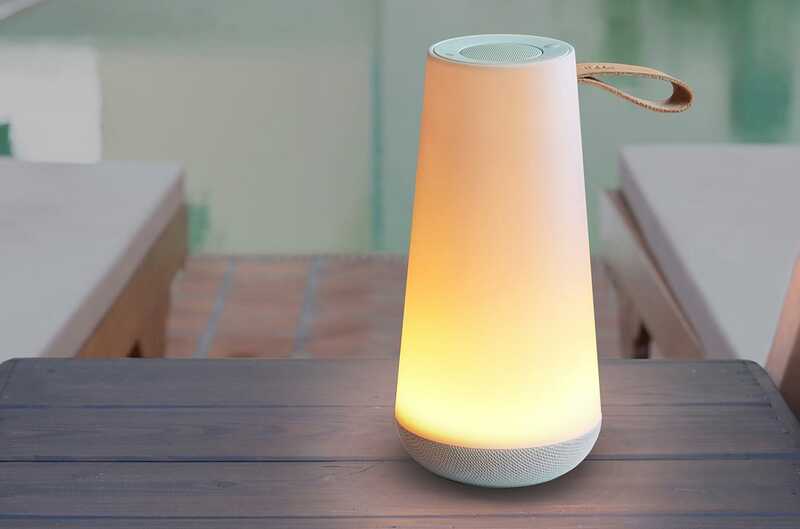 Its soft light adds gentle ambiance to the fading evening, while Bluetooth connectivity lets you pump up your jams into the night. Spring weather can be unpredictable, but you can scratch your outdoor itch by bringing nature to you. 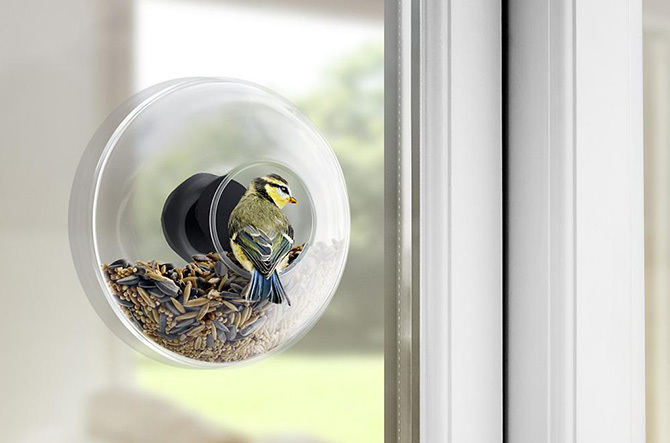 Birdwatchers (and house cats) can keep an eye on their feathered friends from the couch should the temperature turn nippy; Eva Solo’s feeder attaches to any window. For the DIYer, gardener or crafting maven, springtime can provide a burst of energy and inspiration. 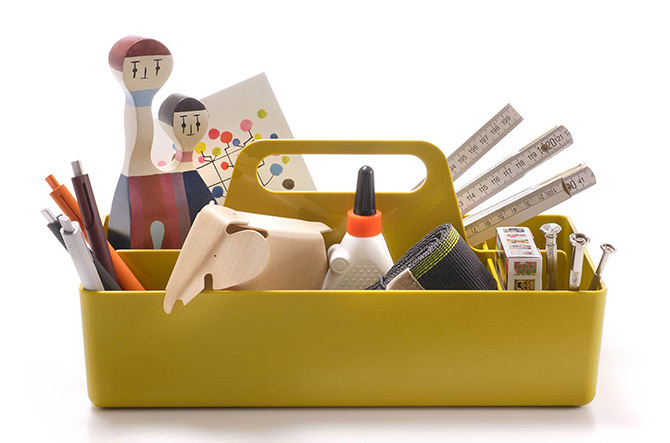 Vitra’s toolbox is a classic design that collects all the accoutrements that weekend warriors and hobbyists can carry. Should those April showers persist, DwellStudio’s songbird-patterned Chinoiserie collection lends a cheerful note to interiors. 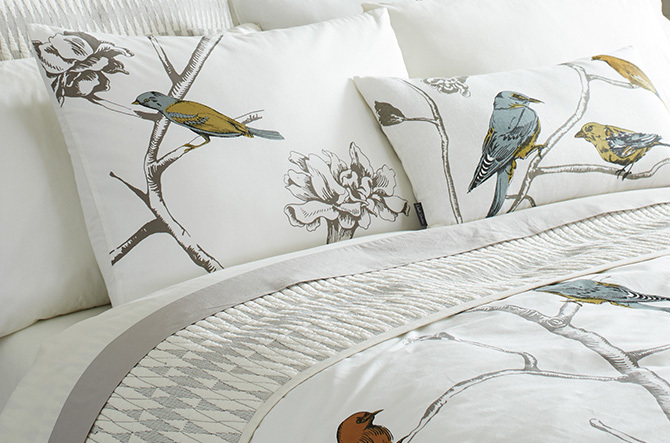 The fun print adds energy and charm as bedding or as an accent pillow. Cooler days and even unexpected rainstorms are hallmarks of the season, but that’s no reason to hole up indoors. 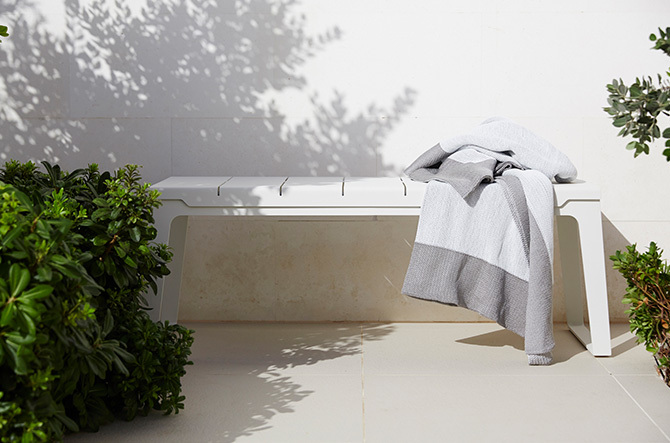 This woven polypropylene throw from Cane-line is cozy and durable even through inclement weather. Inside or out, a flickering flame is a welcome sight. 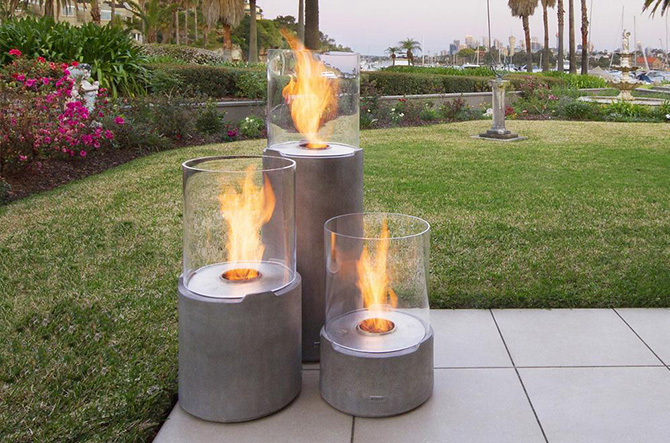 These portable bioethanol fireplaces are pretty and practical, lending warmth and romantic illumination as a single torch or as part of a clustered centerpiece. 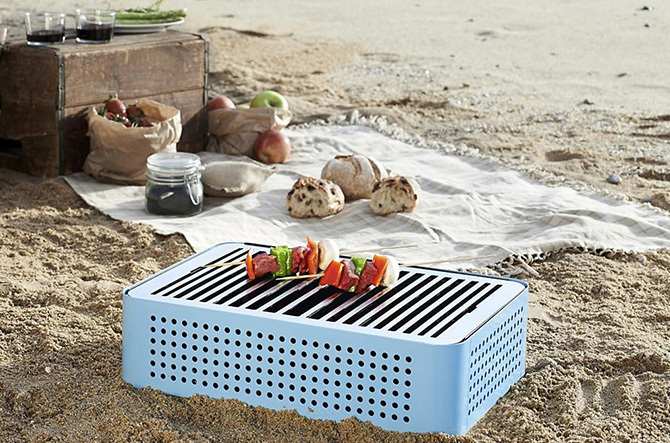 It’s not quite barbecue season (summer, you’ll get your chance), but this portable tabletop grill is too cute to keep waiting. Start cooking out early with cheeky flair; the nifty suitcase exterior comes in a range of springy colors. With all the flowers blooming, birds chirping and squirrels running amok, your backyard offers hours of entertainment--so park it in a comfortable seat and soak up all spring has to offer. 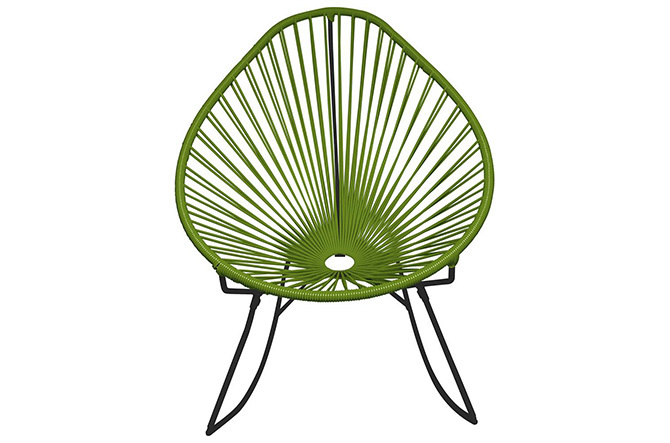 Innit’s woven vinyl construction is seriously comfy, durable and adds a fun pop of color to your garden. 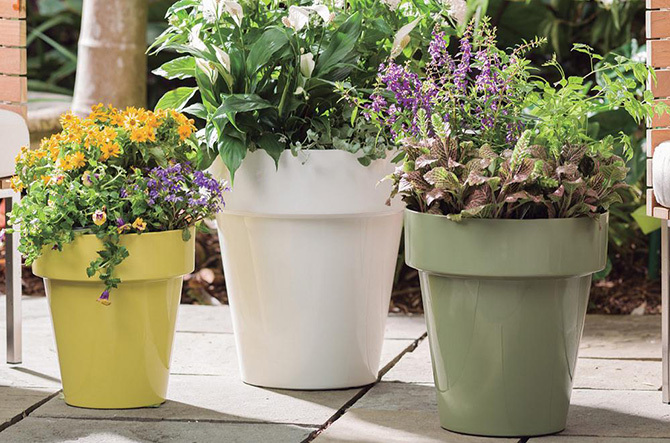 Springtime means getting your garden going, and these classic pots are a staple item. But they’re not your average planters; the pots are actually a lightweight and durable polymer resin that comes in an array of complementary neutral colors in a super glossy finish. One of the best parts of spring is the abundance of flowers, and you want to show them off right. 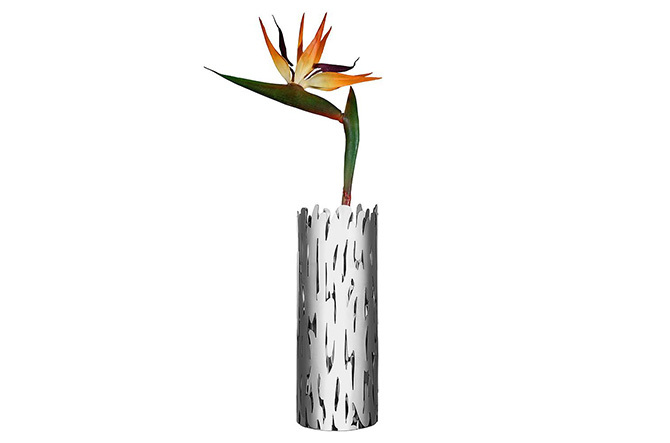 The Barkvase from Alessi blends its organic form with modern flair in its laser-cut steel design. Inside the perforated metal vase, a glass container holds water to keep your blooms fresh.